Dr. Andrea Carati is Assistant Professor at the State University of Milan, where he teaches "International Relations" and Associate Research Fellow at the Italian Institute for International Political Studies (ISPI). His research focuses on military intervention, NATO, US foreign policy, Balkans and Afghanistan. 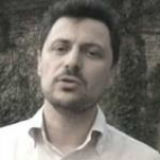 Among his publications: Andrea Carati, "No Easy Way Out: Origins of NATO's Difficulties in Afghanistan", Contemporary Security Policy, 2015, 36(2): 200-18; Andrea Carati, "NATO Beyond 9/11. The transformation of the Atlantic alliance", (book review) Journal of Transatlantic Studies, 2015, 13(2): 226-7; "Intervention and Promotion of Democracy. The Paradoxes of External Democratization and the Power-Sharing Between International Officials and Local Political Leaders", World Political Science Review, 2013, 9(1): 131-53; with Carlo Frappi (eds), NATO in the 60th Anniversary of the North Atlantic Treaty. Challenges and strategic divergences from national perspectives, Franco Angeli; 2009.